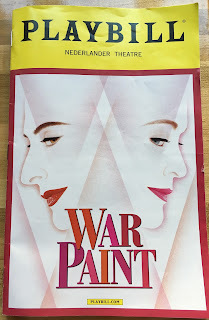 Summary: A new musical from the Grey Gardens team about Elizabeth Arden and Helena Rubenstein, two pioneers of the make-up and skin care industry who were among the very few women who owned their own company with their own name on it in the mid 20th Century. 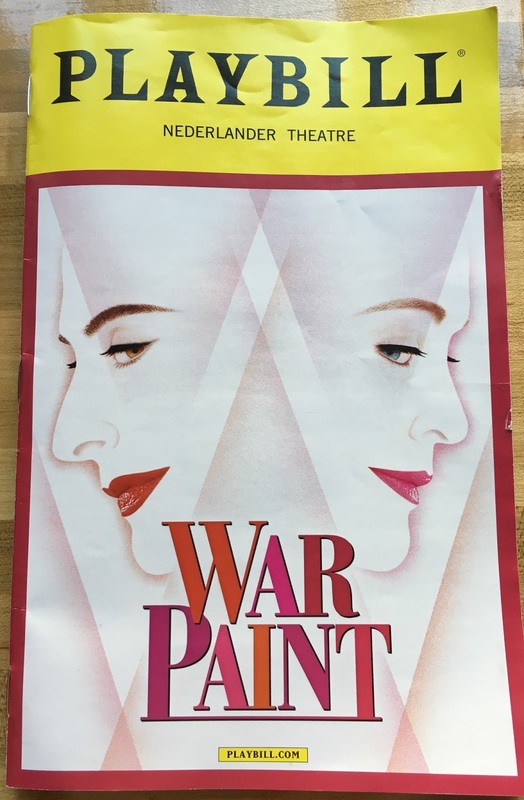 Highlights: Christine Ebersole and Patti LuPone play Elizabeth and Helena, repectively, need I say more?! I've had the pleasure of seeing Patti (whom I knew first as Becca's mom on Life Goes On) once before, in Sweeney Todd, but I'd never seen Christine before. Both deserve their legendary status and it was a thrill to see them in person and witness their powerhouse voices - each had a showy solo song, and their duets are out of this world! They're equally strong and provide a nice balance between the farm girl from Ontario and the Polish Jewish immigrant. Two very different women who were always competing against each other, but who were much more alike than they knew. In this fictionalized version of their stories, which begins in the '30s when they already have successful companies and continues a few decades through wartime and changes in the beauty industry, Elizabeth and Helena don't meet until the end of their careers, at which point one can't help but thing of Bette Davis and Joan Crawford: "they could have been friends all along." This is really Patti and Christine's show, but they get nice support from John Dossett and Douglas Sills as their company-swapping ex-husbands/employees. In a show about beauty, the look is important, and the design certainly lives up to this theme. The set has gorgeous art deco panels that move aside to reveal a backdrop filled with bottes, tinted pink when Elizabeth's story is featured, with a cool blue for the more scientific Helena. The costumes are to die for - gloves, hats, shoes, period dresses spanning several decades, all color-coordinating specific to each woman and their company. I definitely see Tony nominations, if not wins, in the future for scenic designer David Korins and costume designer Catherine Zuber.